Ifeta is a great agent, easy to work with, flexible and knows when to give you time to think through, she is not pushy whereas so many other agents can be. Ifeta is very knowledgeable, professional and a very hard-working person. She helped us see tons of houses even in the coldest days of winter she accommodated us and that says a lot about her commitment to her clients. I highly recommend Ifeta to anyone who would like to work with a true professional!!! 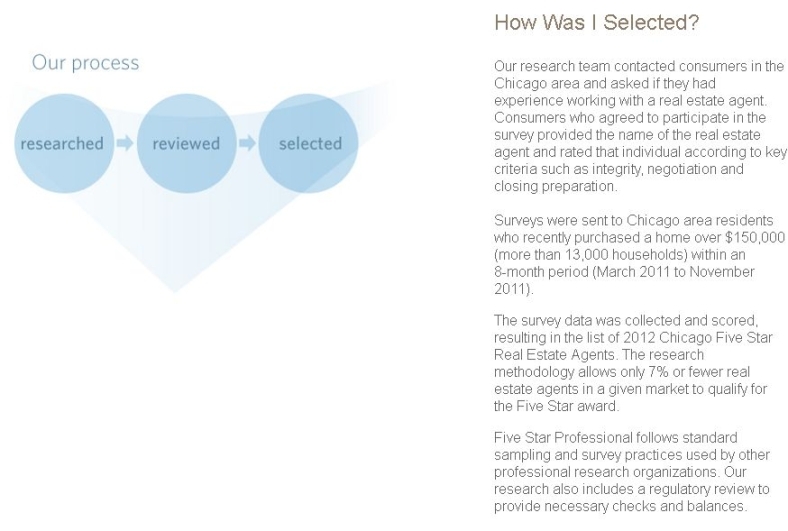 Ifeta Redzovic helped me and my wife buy two apartments in Chicago this summer. It was a real pleasure working with her. She made a very tedious task of finding and visiting properties in the time constricted circumstances go smoothly. She and her staff were well organized, extremely responsive, and punctual. Ifeta would provide all the necessary information, set desired appointment and follow up on any questions we had. She guided us through the whole process and negotiated best terms for us. She was very knowledgeable and recommended equally knowledgeable associates to handle our mortgage and legal part of the proceeding. She was equal part psychologist, real estate agent and a friend. We are recommending her very highly and without any reservations. Ifeta helped me buy my first home and she was wonderful to work with. She was very knowledgeable of the whole condo-buying process and shared her advice and tips with me throughout the whole time we were working together. She was quick at setting up showings for me and patient when I requested to see tons of different places, some of them multiple times. I found her to be friendly and easy to work with. Ifeta Redzovic helped us buy two apartments in Chicago this summer. It was a real pleasure working with her. She made a very tedious task of finding and visiting properties in the time constricted circumstances go smoothly. She and her staff were well organized, extremely responsive, and punctual. Ifeta would provide all the necessary information, set desired appointment and follow up on any questions we had. She guided us through the whole process and negotiated best terms for us. She was very knowledgeable and recommended equally knowledgeable associates to handle our mortgage and legal part of the proceeding. She was equal part psychologist, real estate agent and a friend. We are recommending her very highly and without any reservations. Very pleased with her patience and knowledge... if it is within her reach, she will definitely help. It was pleasure doing business with Ifeta. We were in a different state when we had closing for our condominium. For her that’s not a problem at all!!!! Very happy client right here:) Thank you again. Ifeta is not only a wonderful and experienced agent, she is also a very patient and kind person as well. She helped me throughout the process of acquiring my first apartment in every single step and she was very responsive to all my requests. Ifeta also has a very strong intuition when it comes to evaluating the actual value of a real estate. She immediately would notice any potential issue and inform me as she noticed them. She also has a very strong sense for negotiating. She moves very fast and makes sure you get the best with your budget. We visited many places before we decided, and we got a good sense for what the potential issues with some inexpensive apartments could be, thanks to her! All in all, I had a wonderful experience working with Ifeta and I would go back to her for any future purchases again in a heartbeat. I highly recommend Ifeta Redzovic, realtor and owner of FirstGold Realty. I wanted to sell my home and there were numerous complications involved. Ifeta took on the responsibility of the sale and the end results was a successful sale. Ifeta is experienced, highly professional, knowledgeable and works tirelessly to sell your home. She is not only a skilled and proficient realtor, but also a kind and caring person. She takes heart in your home and in you. Ifeta identifies and addresses any problems and follows through. She goes above and beyond. She is a realtor and person who could be trusted and counted on. I am truly grateful to her. Not only did Ifeta successfully sell a home, but she made a new friend as well. Ifeta and her team are amazing! We bought a condo with Ifeta in 2014 and we used her services again to sell it in 2017. Ifeta will fight for you to get the best possible price. Her team is always on top of things - I am notified with any details, which is really important! They were extremely organized in their approach to the entire process. I'm a details kind of person and this group won't let you down. Even minor details have huge impacts on selling and buying. Ifeta was out of the country and she still answered my emails. Mirna would always text me with updates on a daily basis. Now, that is dedication. She is really knowledgeable and knows the market well. I highly recommend First Gold Realty. I listed my condo with Ifeta in January, 2017. She aggressively advertised my condo unit. In February, I had an offer and a contract. That first contract fell through within a few days. We put it back on the market and then in March we had another offer. We closed April 4, 2017. Quick and easy. I was hands off and very busy with my life. Ifeta took care of all the details. I recommend her highly. I’ve known Ifeta for seventeen years. She helped my family in their first real estate purchase in 2001 and all subsequent purchases. Recently she helped me find my first real estate purchase. I closed and moved into my new condo after a few months of search and am absolutely thrilled – I cannot recommend Ifeta highly enough! Ifeta was patient, highly knowledgeable about Chicago. Pointing me in a good direction with lenders, helping set realistic expectations throughout the process, and basically guided me through every step of the way. Going through the first home-buying process by myself, I felt tremendously grateful for her guidance. She was professional and responded quickly whether by email or text. Also important to me was the fact that she put absolutely no pressure on me and provided information. Bottom line – I can’t imagine having a more positive experience and recommend her without reservation to anyone looking to buy in this stressful market. Thanks Ifeta! We had a very good experience with Ifeta and her team. We were selling a Condo in Lincoln Square, Chicago. Ifeta is knowledgeable, understanding, honest and organized showing the property. During the selling process she offered different options to sell the condo quickly and in a good price. We are happy to recommend Ifeta and her valuable team! We can’t thank you enough for your honesty, guidance and kindness. Thank you for being more than a realtor, thank you for being a family friend. If you are looking for a good realtor I am sure there are many out there. But if you are looking for an amazing one and if you want a quick sale, look no further. Our house was on the market for almost 3 months and while we had many showings we did not get any offers. Then we hired Ifeta. She staged the house, brought professional photographer and even lowered her commission to give more to the buyer's agent. We had a good offer in 3 days and we just closed the deal today. She negotiated for us and walked us through the process all the way. Her responsiveness, knowledge and personality are second to none. I would highly recommend this office to anyone! Ifeta Redzovic and her team at FirstGold Realty have done an outstanding job during our recent work together. My family was selling a house while simultaneously buying a condo and Ifeta managed both processes exceptionally well. I respect her knowledge, her deep experience, her steady judgement and her ability to offer excellent advice. She was always prompt, accessible and dealt with every situation with outmost professionalism. 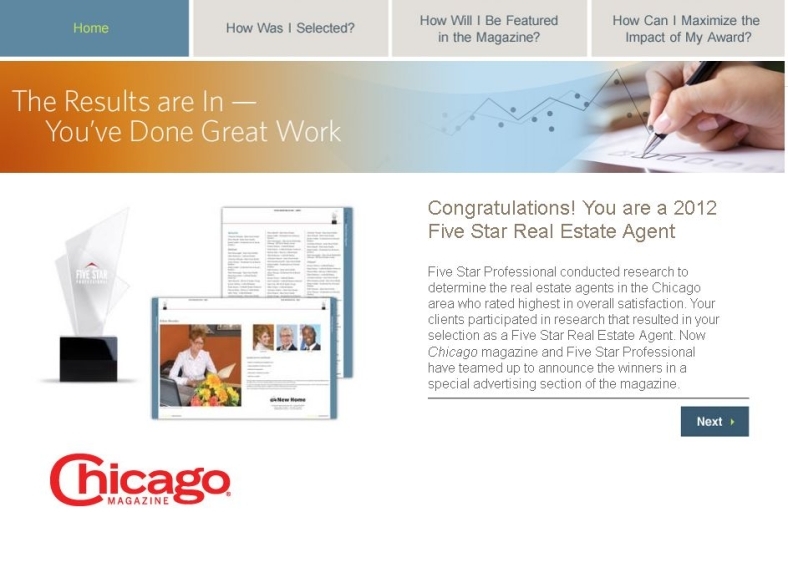 I have only praise for FirstGold Realty and would definitely work with Ifeta again. Thanks to Ifeta Redzovic that made our dream come true! !Ifeta and her team from First Gold Realty are the most professional ,awsome, easy to work with people in the Realestate market. They sold our house and found us new house in such a short time ,we could not be more happy . We will always work with Ifeta and her team in the future. Thank you so much for amazing work you have done. Working with Ifeta has been a great experience. She worked hard for us to find what we were looking for. Knowing that she has over 20 years of experience has definitely made us comfortable enough to find the best home for us. She made sure to stay on our task and focus on the search requirements for what we were looking for! There is no better feeling that knowing that what you are buying is what you're getting based on someone's professional opinion like Ifeta Redzovic. I highly recommend First Gold to be your choice of agency. Ifeta made me feel comfortable during my first home buying experience. She knew what I wanted before I event told her. I highly recommend FirstGold Realty because they are professional, efficient, and know how to get you exactly what you are looking for in a home. I am so happy I was given Ifetas name to contact when I started looking for my first place.She is absolutely the best agent I could have hoped for. She is very knowledgeable, patient, punctual and dedicated to what she does and most of all she truly cares about her clients. She went out of her way to make sure I understood the buying process and kept me informed every step of the way. She stayed in touch and I can honestly say she always put my interest first. I am very happy I had the opportunity to meet Ifeta and work with her. I was so fortunate to work with Ifeta who saved me thousands of dollars with her top negotiating skills. It was an absolute pleasure working with Ifeta and First Gold Realty. From the minute I contacted Ifeta to the day my husband and I purchased our new house I was thoroughly impressed with the level of professionalism, expertise and commitment. Her dedication to finding us our first home was more than we ever expected. She was very patient with us as we toured homes and decided to make an offer on a house that turned into a very lengthy process. With our budget in mind, she was able to look at questionable issues during the wait time and provide completely honest feedback. Her judgment was honest, as we were unfamiliar with the many aspects and decisions involved in buying our home. Ifet’s negotiation skills were also excellent. She was always available for phone calls, texts, and emails, even after regular work hours. There was never any waiting around for her to respond and, in a competitive market that is a very valuable thing to have in an agent. Ifeta is exceptionally knowledgeable, extremely patient, and very dedicated to her clients. I always felt comfortable that she has my best interest at hart. My husband and I completely and fully endorse Ifeta’s services to anyone buying or selling a home. Ifeta - Thank you so much for all your efforts and assistance. It's wonderful knowing people as kind and considerate as you are. Thank you for all you have done. Enes & I truely appreciate all your help and kindness. Thank you for everything you've done for us. You made our first experience of buying a house wonderful. We appreciate all the work you did for us. I recently purchased my first home with Ifeta's help. I could not have asked for a better experience. Being very new and unfamiliar with the process, Ifeta patiently and diligently walked me through all of the steps and always made sure I understood the process. She is very honest, compassionate, and advocates for her buyers. She answered my calls and emails at all times of the day and night. It's crucial to have 100% trust in the person who is helping you make what is probably the largest purchase of your life. For that reason I would recommend working with Ifeta to my family and friends wholeheartedly and without reservation. She helped me secure a great and FAST closing, I am very very pleased. She truly loves what she does and it shows in her enthusiasm and energy with her clients and her work. A++++. Thank you you’re the best Real-estate Broker by far! We sure are happy we went with your company I’m sure when it's time to sell we'll choose you again for doing such a great Job. We can tell you really care for your clients. I had an amazing experience with Ifeta. She is far the most professional agent I have ever met. She is very personable too and cares about her clients. She goes up and beyond expectations. Trough my experience I was wowed how much patience and understanding she has. She is very knowledgeable in her business, and everyone can be very confident that she will deliver the results to you which will make you very happy at the end. If you are looking for agent who will get the job done FOR YOU, with confidence I guarantee it is Ifeta. Ifeta is the best agent that there is and I would recommend her to anyone. She is very courteous, knowledgeable, honest and efficient. She helped me buy my first condo, and the experience could not have gone better. She is definitely the agent I will call for any future purchases/sales. Thank you Ifeta and associates for a wonderful experience! I had been trying to sell my home for several years but was not able to attract any buyers. So, upon a referral, I contacted Ifeta. She made a visit to our house and spent a good amount of time making observations. A day or so later she provided a detailed explanation of what our house could sell for and why. At the same time, she provided some advice on what we can do to make the house look more appealing. To my surprise, we started getting showings very shortly after listing. We attracted a lot of traffic that we hadn't seen in years. The house eventually sold for a value higher than its appraisal value. While our house was listed, we started looking for a new house also with Ifeta. She was extremely professional, very patient and always on time to every appointment. She has a lot of industry experience that I was looking for and benefited from. Thank You Ifeta. It was a pleasure working with you. Hope to do business with you in the future." •As a first time home buyer, I had lots of questions and uncertainties and the process of purchasing a home seemed daunting, but Ifeta was amazing to work with. She was very responsive to all my questions, had tons of patience as I changed my mind about what I was really looking for and explained everything in detail at every step of the process. I wholeheartedly recommend Ifeta to anyone looking to purchase a home, whether it's your first home or your 2nd or 3rd. Thanks for all your help and patience, Ifeta! Roxana Geana hired Ifeta in 2012. “Always available and very resourceful. "We recently purchased a condominium with Ifeta’s help. Everything was done very professionally. Ifeta helped us find exactly what we were looking for, at the right price in the right location. It was a short sale so it took little longer but Ifeta kept us informed all the way through the process so there was no anxiety. Very nice, dedicated, always on time, knowledgeable and helpful real estate agent. We will definitely use Ifeta again and would also highly recommend her to anyone who is looking to buy/sell property." "My husband and I had a wonderful experience working with Ifeta & First Gold Realty. We had roughly 30 days to find a home, close and move in. She did everything she could to help us and make that happen, and it worked! She was knowledgeable, listened to our needs/wants, honest and most of all pleasant to work with. I would highly recommend her to any of my friends or family who are looking to buy a place in Chicago." "Ifeta is the best agent that there is! She is very professional, honest, helpful, knowledgeable, and efficient. She helped us buy our condo with no problems. I would highly recommend Ifeta to anyone who is planning to buy or sell. My family and I are very appreciative of your help. Thank you." Overall the best RealtorZlatko Habibovic bought a previous house with Ifeta and would recommend them to other home buyers"